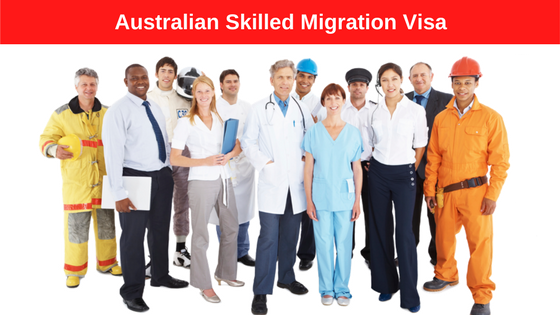 Skilled Migration Visa for Australia | Get a Permanent Residence Visa | Sync Visas. The great news is that this visa may lead to Australian Citizenship! The 189/190 will allow you to live, work and migrate to Australia. Eligibility for Permanent Residence is based on 5 factors only, your age, occupation, work experience, education and English Language ability. Educational background – You must have reasonable education. A masters’ holder will have more points than a degree holder. English language ability – Applicants must take the IELTS English Test and must pass. The permanent residence visa exposes the applicant to job opportunities in Australia and they are free to pick up these Australia jobs as long as they have the required skills and relevant work experience. Beneficiaries of this visa qualify for Australia work permit visa and can live and work in Australia. The excitement that surrounds the thought of moving to our dream countries is usually overwhelming, particularly when we are applying to move. It is however very important to know what choices of visa are available to you. 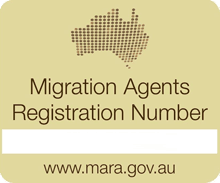 There are basically three pathways through which you can obtain permanent residence in Australia and they are: the 189 Independent pathway, the 190 State sponsored pathway or the 489 Temporary sub class (which offers 4 years visa; the applicant can be sponsored by either the state or family member). While the 189 and 190 visas grants you access to work and live in Australia, the 489 pathway just gives an opportunity for the immigrant to enter Australia and then later apply for permanent residency. This is where it begins; where you nominate an occupation in Australia. There are 2 Skilled occupation lists with many occupations listed. 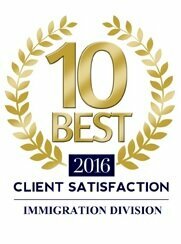 For skilled migration, your occupation has to be on one of these lists. However, if yours is not there, Australia accepts professionals and trade occupations alike. This gives everyone flexibility to apply. The visa you will apply for will depend on where your occupation is on the two lists. This really doesn’t matter since all these visas lead to permanent residency. Your points will be calculated based on your Language ability, work experience, education and age. For you to qualify for the 189 visa, you need 60 points, for the 190 visa 55 points and for the 489 visa, you need 50 points. So if you score lower points, you can always switch. Same applies if you have higher scores. Those who have close relatives in Australia get bonus points as well as those with state nominated occupation. This is the point where your skills are assessed against your qualifications. Your possessed skills, educational background and work experience should be consistent with the nominated occupation. This is how you prove that you are good for the job. The skills assessment stage usually take around 3 months but don’t stress, our MARA accreditation at Sync visas allows us to help you speed up the process. The moment your skills are approved, you are welcome to make an EOI application. This basically require that you put together and submit all supporting documents. This takes roughly 6 months for approval. This is the final lap. Once your ITA is received, Sync visas will apply for your permanent residence for you while you sit back and plan your movement. Don’t forget we only submit your application when we have made sure 100% that you are qualified. Contact us at Sync visas, we can help you with your application for Australian visa a lot easier and faster. We have helped many with their Australia visas, many who now live and work in Australia. Give us a call and let’s guide you through step by step. There are probably questions you have, our visa consultants are always available and waiting to take your questions and provide satisfying answers to them. Don’t forget all our consultants are experts with licenses and are with many years of experience. Have any Question for Australia Immigration ? please send us by our Free Online Visa Assessment to find out what options may be for you to migrate Australia. Your Free Visa Assessment results will be e-mailed to you in next 24 hours.